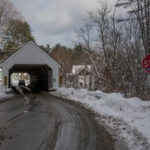 Williamsville Bridge in Newfane, Vermont. With a Nor’easter on the way it looks like I’ll get to do a few more snow scenes. Come what may, I do try to savor every day. Below are two recent plein-air pieces from a particularly good one. Also, our two print winners for this month! 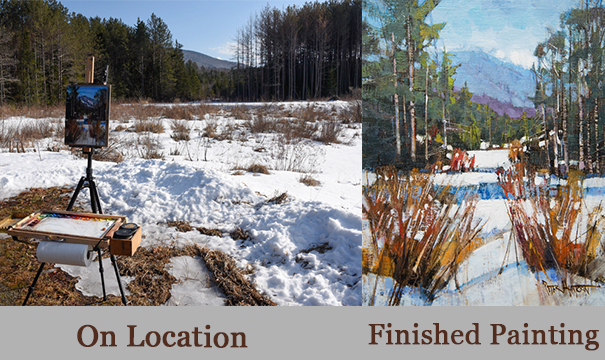 While I usually opt for the comforts of the studio during much of the winter here in Vermont, I’m always ready to take advantage of a reasonably warm day to paint outdoors on location. Here are two such paintings recently completed. 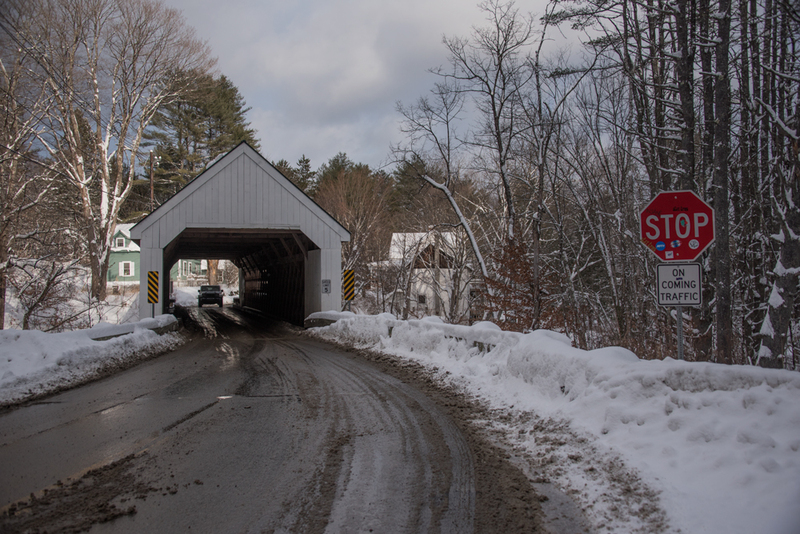 Each month I draw two random Day in Vermont subscribers to win a free print of their choice. It’s one small way I can say thanks for your tremendous support. Very nice….I am still so drawn to the Wilderness Meadow…love it! Cool…small world, thank you Steven! Nice neck of the woods you live in. 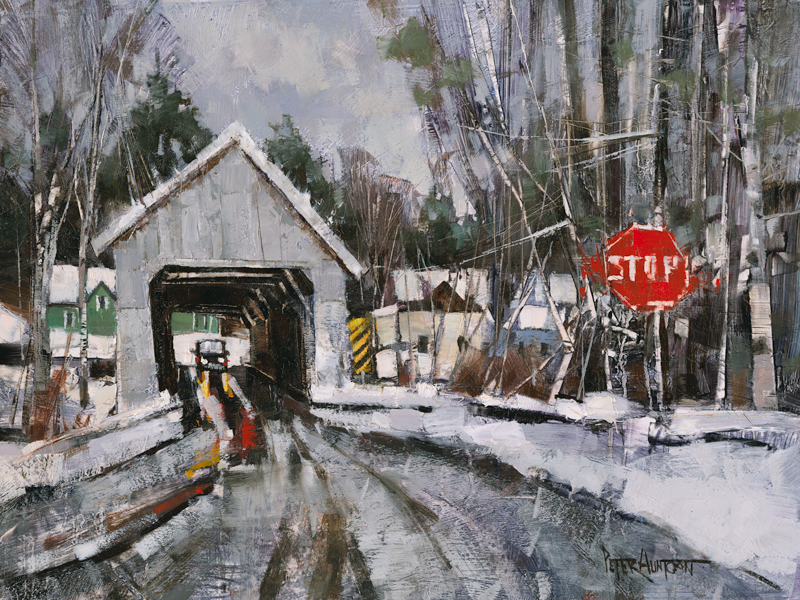 Color choice and moderate light values brought a strong memory of an overcast and “slushy” day in early March to the painting of the Williamsville Bridge. In contrast, higher key warm and cool color contrasts of Smith Farm and Wilderness Meadow sing joyfully of warmer days to come! Nice work! look forward to Monday’s post. It’s my full time job Deb, so if I want to eat I have to work. Loving my job helps, too. Thank you! Congratulations to the winners, Beth and Janet! Thank you Melodie, I’m probably overdue for a painting with a horse or horses. ‘Vermont Fix’ every Monday. Love them!! So glad you enjoy them Pam, thank you! Love the covered bridge one ❤️. So Vermont ❤️. Thanks Cynthia, glad the email got through cyberspace this week!